As a group moves quietly through the impressive gallery rooms of The Frick Collection on Manhattan’s Upper East Side, one visitor rounds a corner, coming face to face with a surprising find: a commemorative trio of El Greco works hung together for the first time in the East Gallery, perhaps, or Vermeer's famed oil painting "Girl with a Pearl Earring," on loan from The Hague in the Oval Room. Something about the work looks familiar, but the Frick was specifically established to resemble a mansion full of art rather than a museum. There is neither a plaque nor a description of any kind to identify artist, period or work. The visitor flicks a finger across the screen of her smartphone, and a mobile app helpfully pops up, with a full rendering and historical sketch of the painting. She touches another button, and streaming audio and video from a prepared museum tour begin playing through her miniature headphones. Designed in Silicon Valley? Think again. It happened as a collaboration between the Frick and a Stevens Institute of Technology student team. 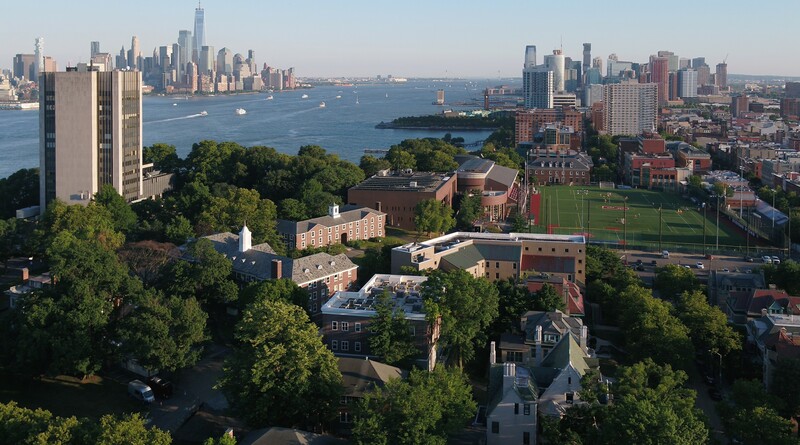 Work on the app began back in 2013 with support from Stevens alumnus Sandeep Mathrani '83 and his wife Ayesha, who is a member of the Frick's Board of Trustees. A team of graduate and computer science students was quickly assembled and began meeting and working on a weekly basis, both remotely via Google Hangouts and — occasionally — on-site at the museum. "At our first meeting together, an orientation in the museum, the students took a seminar in front of a painting with our education director and they asked terrific questions," recalls Floyd Sweeting III, head of technology and digital media at the museum. "They were clearly very open-minded, very perceptive and very interested in art." After several months of wireframing, the Stevens team began building upon the Frick's visual assets and IT resources, including an existing video tour and thousands of gorgeous high-resolution photographs of the museum's artworks. Four months later, the students handed over an app-in-progress. Sweeting and his digital media team then designed a beautiful visual interface to complement the back-end work, and rolled the app out on both the iTunes and Google Play application stores this summer. "We had the opportunity to go through the entire process of making a mobile app from start to finish," recalls team member and graduate student Brent Cox '10. "We experienced firsthand just how much work goes into making an app for Android and iOS. I've gained valuable experience, and the people at the Frick were very pleasant and helpful to work with. Our team had a lot of freedom in how we developed the app, which was both great for experience and sometimes challenging." "The Stevens students were impressive," lauds Sweeting. "They were very responsive and gave us exactly what every museum wants: a guide to our collections that tells you, while you're in the museum, what's on view in any given room at any given time. This information changes frequently, so the app automatically updates it as items are loaned or relocated. It also gives you an up-to-the-minute calendar of what's happening. You can read about the artworks, which you can't do in front of the works since they don't have labels: the title, artist, year, history of who owned them and so forth. "The app even looks great on a tablet, although it was originally designed as a phone application." The app is available for iOS devices in Apple's iTunes App Store and for Android devices in the Google Play store.